Costume Designer. Nationality: American. Born: c. 1904. Education: Attended Chicago Academy of Fine Arts. Career: Worked for Lester Costume Company and Ernie Young's costume house, Chicago; designer for Fanchon and Marco's Ice Follies, 14 years; 1942—costume designer for MGM until her retirement, 1966. Awards: Academy Award for The Bad and the Beautiful , 1952; I'll Cry Tomorrow , 1955. Died: In Palm Springs, California, 9 November 1985. Obituary in Variety (New York), 13 November 1985. Helen Rose was born on Chicago's south side on a yet undetermined date. (Rose came from an era when women felt compelled not to reveal their true age.) Dates vary from 1904 to 1918. Because of this, she often appears as precocious as Mozart with her list of early achievements. However, it is most likely that Rose started her career in her late teens. She began studies at Chicago Academy of Fine Arts. While still in school she got a job at the Lester Costume Company creating "girlie" costumes for vaudeville and night club extravaganzas. She developed tremendous versatility turning chorus girls into, amongst other things, dancing cupcakes. 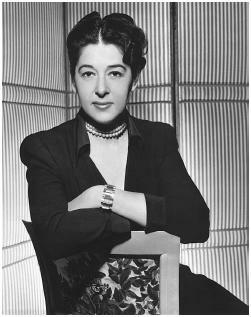 She then worked at Ernie Young's costume house for three years gaining more experience and earning a highly regarded reputation as a theatrical designer. She expanded creatively and technically working for Young and at other companies, and learned the difficult art of chiffon design, a skill that she would later find useful in Hollywood. Continuing in the costume business, Rose moved to Los Angeles in 1929 to a company that supplied wardrobes for film studios. For several months she worked at 20th Century-Fox until a political upheaval in their costume department put an end to that assignment. She then became designer for the Ice Follies and stayed with them for 14 years. She was content with this work until MGM gave her a financial offer she could not refuse. The studio was still searching for a replacement for Adrian and did not feel confident that any of their current designers had taken his place. Irene was working at MGM at the time and Rose was assigned to design clothes only for the younger stars. However, while the two designers were jointly doing a film for director Joe Pasternak, he so openly preferred Rose that Irene angrily left the studio. Pasternak was not the only one who favored Rose. Even in their private lives, stars would ask for Helen. She created wedding gowns for Liz Taylor, Ann Blyth, Jane Powell, Pier Angeli, and Debbie Reynolds. It greatly upset Edith Head when Head's good friend Grace Kelly requested a Helen Rose gown for her marriage to the Prince of Monaco. Rose was also a favorite of Louis B. Mayer, who referred to her as "my sweetheart Rose." In general she was well-liked at the studio and dressed almost every major actress for MGM. Others who wore her costumes in addition to those mentioned above were Ava Gardner, Deborah Kerr, Cyd Charisse, Jane Powell, and Lena Horne. Rose's designs were well structured with a strong emphasis on the silhouette. She kept her use of decoration simple and subdued. Her designs were elegant and understated, yet innovative, looking natural in spite of their theatrical nature. Like her rival at Paramount, Edith Head, Rose used designs that suited the new demands of the 1950s. They were more practical than fanciful; the sort of clothes a nice upper-middle-class suburbanite might wear. These clothes were also a goal to which less affluent members of the audience could aspire. However, Rose was not limited to the contemporary look and could equally design excellent and accurate period costuming, as in The Swan . Clothing manufacturers were not blind to the fact that Rose's designs were popular with the public. Her wedding dress for Father of the Bride was extensively copied by New York fashion designers. Her inventive bathing suits for the Esther Williams pictures, made of light new fabrics, influenced bathing suit manufacturers such as Catalina, Jantzen, and Rose Marie Reid. In 1958 in Cat on a Hot Tin Roof Liz Taylor's white chiffon gown with the revealing décolletage caused a sensation. The star asked for a copy for her personal wardrobe and Rose received so many additional requests for copies that she decided to enter the wholesale garment business. Her expensive ready-to-wear was sold under franchise to exclusive department stores and speciality shops across the country. In making this move Rose may have reasoned that she could express herself more creatively and make a better living as a ready-to-wear designer. However, she might have also suspected that the time of the great studio costume designers was coming to an end. By the time she left the studio in 1966, Rose had designed over 200 pictures and had received two Academy Awards for The Bad and the Beautiful and I'll Cry Tomorrow . In the movie till the clouds roll by,in that one sene where Miss Judy Garland plays Marilyn Miller singing the song "Who" what was the dress or costume made of,I think it was design by Miss Helen Ross.